The NYPD released a surveillance photo of the suspect. MIDTOWN, Manhattan (WABC) -- Police are searching for a woman who robbed another woman while she was attending church in Manhattan. 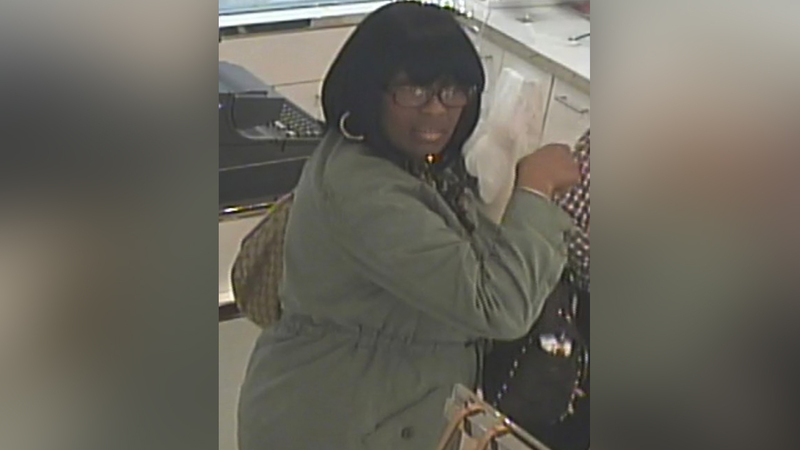 According to the NYPD, the 66-year-old woman was at the Fifth Avenue Presbyterian Church last Thursday when she realized someone had swiped her wallet. Investigators say the thief then used her credit card to buy $900 worth of merchandise at a Lord and Taylor, just a few blocks away. Police describe the suspect as a black female approximately 30-40 years of age, dark complexion, black hair, eye glasses and heavy set, last seen wearing an olive green jacket. They released a surveillance photo of the woman, which can be seen above.